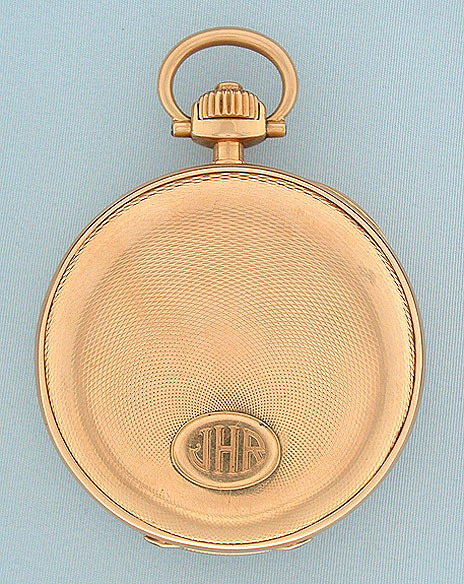 Fine, handsome and very rare Patek Philippe 18K gold jump hour chronograph antique pocket watch retailed by Jacques & Marcus, circa 1889. 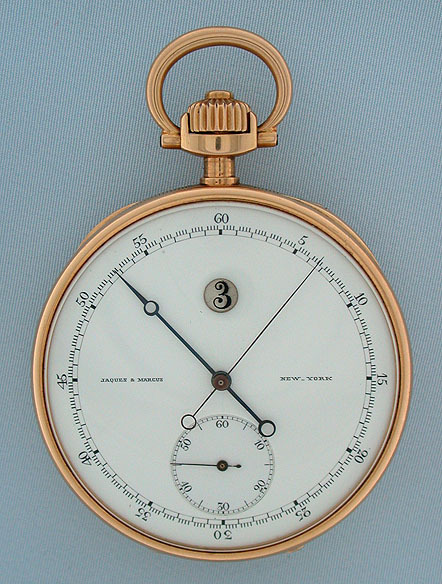 Fine white enamel dial (clean hairline) with aperture for the jumping hours, black markings, and blued steel hands. 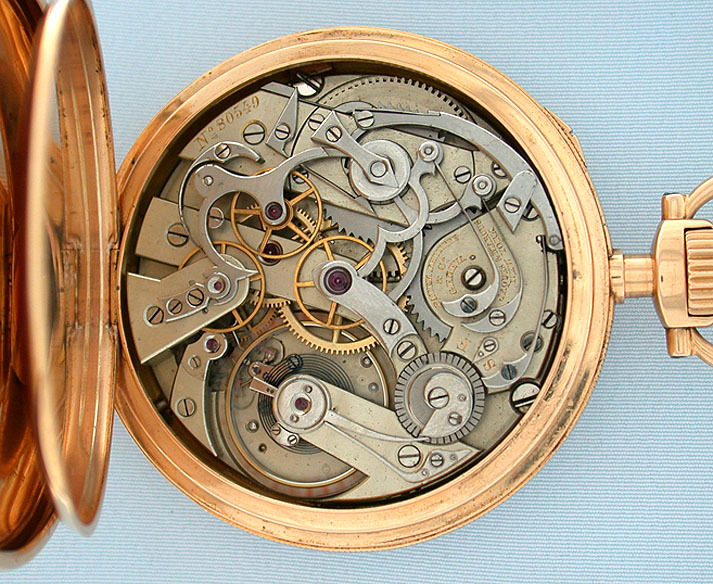 Heavy engine turned case with coin milled band and chronograph button in the crown. First quality nickel damascened 25 jewel movement with the chronograph work on the back plate and wolf tooth winding. 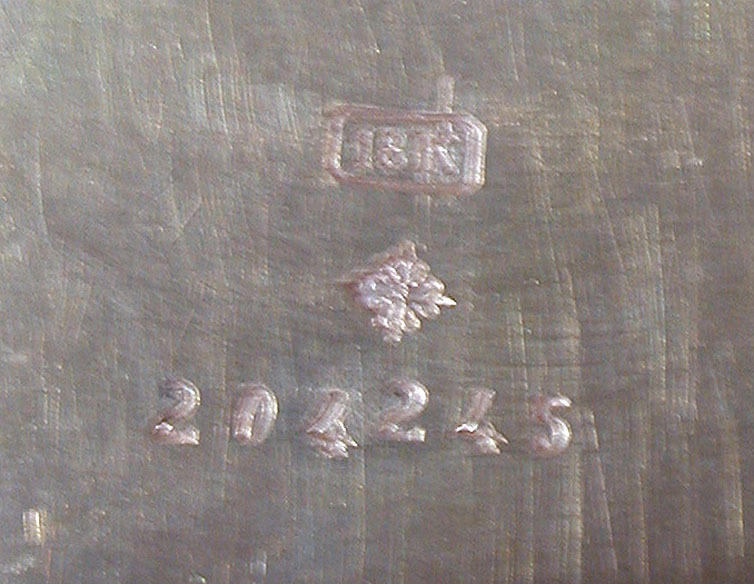 The dial, case and movement signed by the retailer. 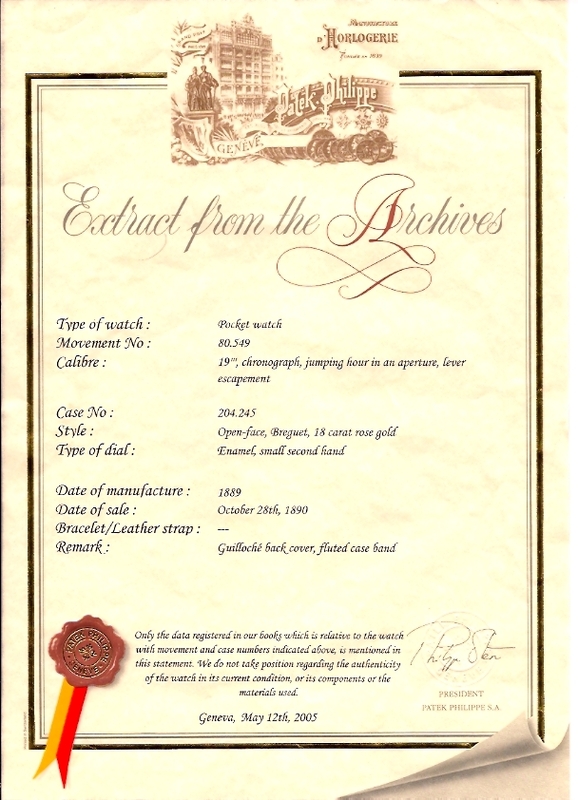 The movement and case signed by Patek Philippe. With certificate from Patek Philippe. Patek Philippe watches with enamel dials with jumping hours are very rare and particularly so when combined with a chronograph. 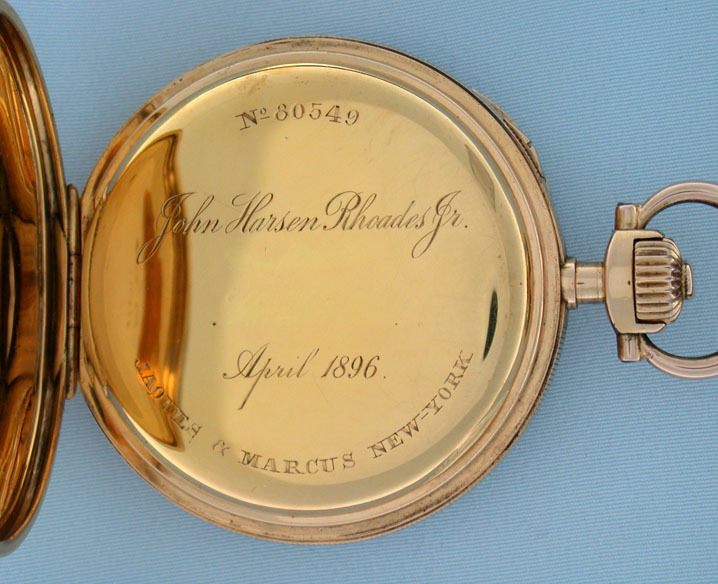 Formerly the property of John Harsen Rhoades Jr., a prominent New York banker who was talked of as a probable candidate for Mayor in 1890.